Labradorite in the shape of a hexagon... yes please! I love this gemstone with its beautiful flashes of greens, browns and blues, and the hexagon cut is beautifully minimal and modern. You'll love this set! 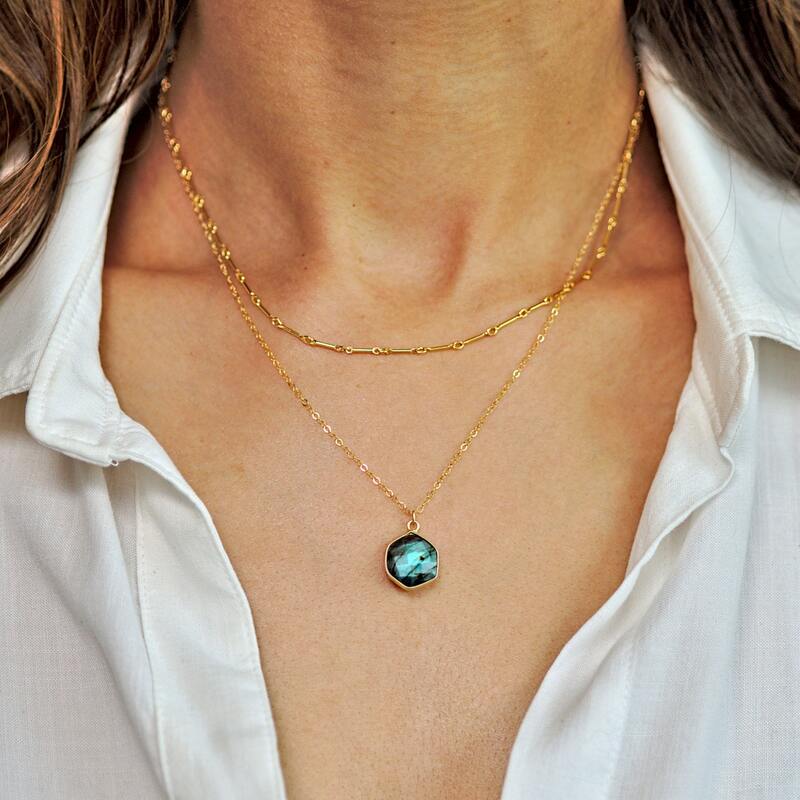 » Gold framed labradorite. Shades of labradorite vary. Please specify if you're looking for a certain color. » The model is wearing this necklace at 16 and 18"
» Select your length. 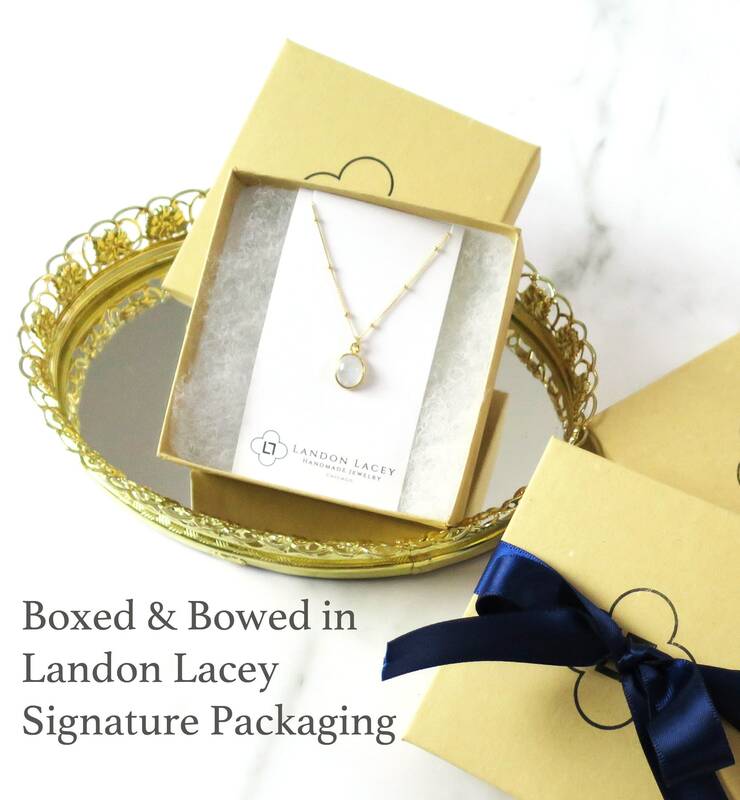 If you choose both necklace, length refers to the shortest necklace (the chain) and the labradorite will be staggered by around two inches. » Select your stone size. The model is wearing the 16mm option. 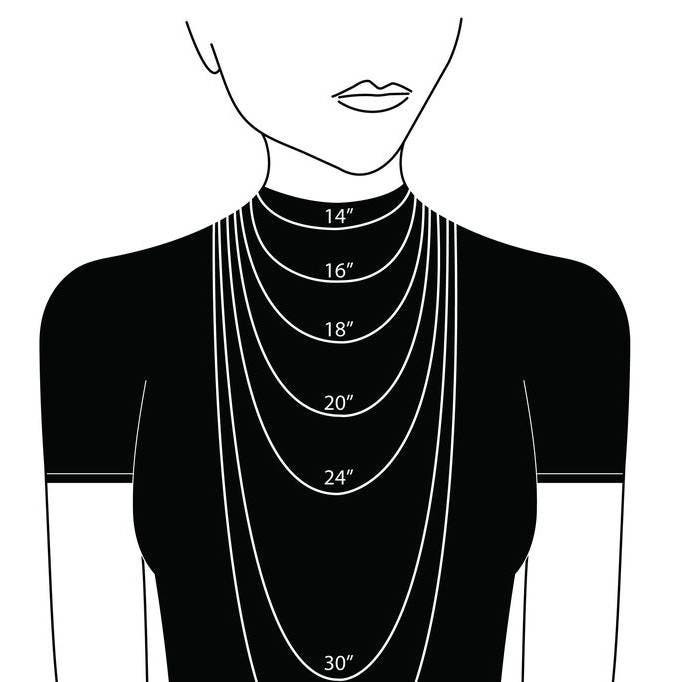 Model Details » the model is wearing the top necklace at 16" and the bottom necklace at 18"
Love it! Beautiful Labradorite pendant! I requested a 17 inch for this necklace but received a 15 inch one, so I contacted the owner and she responded immediately and shipped out the correct one right away. Customer service was super good. Necklace was nicely made! It was awesome!!! I wear it everyday.